Once you’ve rooted your phone This Is the Best Way to Root Your Android Device This Is the Best Way to Root Your Android Device If you want to root your Android phone or tablet, this is the best way to do it. It bypasses restrictions that other root methods don't. Read More , you gain access to tons of extra apps in — and sometimes beyond — the Play Store. The best root apps can extend your battery life, change fonts and emojis, recover deleted photos, and even boot a full version of Linux. Here’s our pick of the 13 best root apps you must install. Root Essentials is a one-stop shop for numerous root tasks. It’s a great starting point if you’re new to rooting, since it contains important tools like a build.prop editor, a root explorer Root Explorer Lets You Reach Deep Into Android's File System Root Explorer Lets You Reach Deep Into Android's File System If you need to access root files to tinker with your Android device, this app can help you out. Read More , and a flashing tool. It also enables you to carry out some popular mods pretty easily. The best of these is Fingerprint Gestures, which assigns functions (like opening the app drawer or returning to the home screen) to assorted taps and swipes of the fingerprint sensor. There’s also the option to change the system font from a choice of over 700 free alternatives, or change the pixel density of your device’s screen. Google’s Find My Device service — the recently renamed version of the old Android Device Manager — is a quick and easy way to locate a phone that you’ve misplaced. But if you want a more robust Android anti-theft solution The 7 Best Android Anti-Theft Apps to Protect Your Device The 7 Best Android Anti-Theft Apps to Protect Your Device If your Android phone gets stolen, you'll need a way to get it back. Here are the best Android anti-theft apps. Read More , take a look at Cerberus. Cerberus has a much wider range of options for protecting your device. It’ll alert you if the SIM card in your phone is changed, or take a picture of any unauthorized person who tries to access your device. It doesn’t need root access to work, but if you do use it on a rooted phone, the app will survive a factory reset. This makes it far harder for anyone to wipe and sell your stolen handset. For ordinary Android users, making full data backups Don't Lose Your Data: 5 Top Backup Solutions For Android Don't Lose Your Data: 5 Top Backup Solutions For Android Everybody needs to back up their data in case something happens to their device. Protect yourself with these amazing backup apps. Read More can be surprisingly difficult; for rooted users it could hardly be easier. Titanium Backup is the gold standard of Android backup apps — what it lacks in looks it more than makes up for in power. Titanium Backup can back up the data in your third-party apps (and the apps themselves) as well as harder to reach things like SMS messages and browser bookmarks. It can make scheduled backups and save them to Dropbox or Google Drive. The app can remove unwanted system files, and it can even extract and restore data from a Nandroid backup, should you ever find yourself needing to recover a bricked phone. Truly essential. Of all the tools that help you to flash ROMs and kernels, FlashFire is the best by some margin. It’s more than a straight-up flashing tool — although it’s flawless at that — and it offers a number of extra features that you’d normally only find by poking around in your custom recovery. With FlashFire, you get them all without ever leaving Android. These extras include making Nandroid backups that you can restore in various ways: in FlashFire itself, or in TWRP, or in Fastboot mode for the most advanced users. Better still, FlashFire helps you install OTA system updates or official factory images without losing root. Viper4Android is the best equalizer app for Android The 4 Best Android Equalizer Apps for Boosting Audio The 4 Best Android Equalizer Apps for Boosting Audio Whether you're listening to songs or podcasts on your Android device, you need one of these awesome equalizer apps. Read More . Unlike the other audio tools in the Play Store, Viper4Android is a root tool that adjusts your phone’s sound settings at a system level. As a result, it works with all your games, and music and video apps. It’s an incredibly detailed tool, and if you aren’t a committed audiophile, a lot of the options will go way over your head. 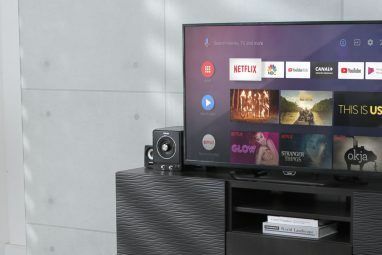 But the basics like the equalizer and bass boost are there, and you can configure them separately for internal speakers, headphones, and Bluetooth and wired external devices. With just a little experimentation, it’s possible to make even the weakest speakers sound better than ever. If you haven’t explored Android’s automation tools The Easy, Non-Root Way to Automate Android Without Tasker The Easy, Non-Root Way to Automate Android Without Tasker Learning to automate your Android device will honestly change how you use it, and this app is dead simple. Read More already, then you really should. 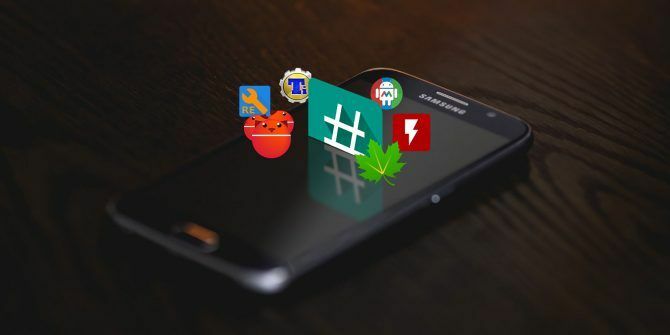 Apps ranging from the difficult to use Tasker to the extremely accessible MacroDroid let you perform common tasks automatically. 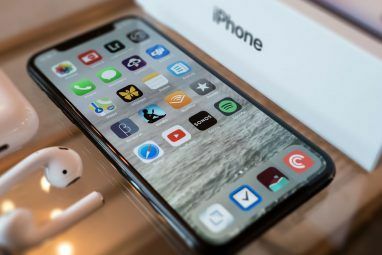 It could be something as simple as setting the correct volume level when you plug in your headphones, to always putting a specific contact’s calls on speakerphone, to sending a text to someone when you arrive at a location. By giving MacroDroid root permissions, you get access to an even wider range of functions, including data controls. With these, you can devise your own power-saving plan, like creating a whitelist of apps that can use mobile data, or switching your phone to Airplane mode in the early hours of the morning. Greenify How to Make Android Faster: What Works and What Doesn't How to Make Android Faster: What Works and What Doesn't If your Android device doesn't feel as fast as it once was, try these tweaks to get it running faster (plus common "tips" to avoid). Read More is one of the most well-known and well-loved root apps, and for good reason. It can work wonders for your phone’s battery life. It works by reigning in your other apps, limiting what they can do when you aren’t actively using them. Instead of allowing them to continue running in the background, using resources and sipping data whenever they want, Greenify “hibernates” them, preventing them from doing anything until the next time you need them. It’s possible that Greenify will become less useful with continued improvements in the Doze feature first seen in Android 6.0. But if you’re part of the nearly 60 percent of users still on an older version of Android, it can have a noticeable effect. If you’ve ever gotten up in the morning to find your phone has inexplicably drained half of its battery overnight, the cause was almost certainly something called a wakelock. This is where an app or process prevents your phone from going to sleep, causing it to continue using power at a much higher rate than it should be. Amplify tackles wakelocks. It limits what can wake your phone, and for how long, and if you’re concerned that this sounds a bit too technical, it really isn’t — the app needs no configuration at all. You need the Xposed framework Customize Your Phone Without Flashing a ROM With The Xposed Framework Customize Your Phone Without Flashing a ROM With The Xposed Framework It is common knowledge that the best way to customize your Android device is to flash it with a new ROM. It is also wrong. Read More to use Amplify, and it works as a perfect companion to Greenify. There are all manner of tricks you can try to extend your battery life 5 Advanced Ways to Improve Battery Life on Android 5 Advanced Ways to Improve Battery Life on Android If you've got a rooted Android device (or you're willing to root it), and you want better battery life, we can help you out. Read More , but sometimes battery drain can be caused by a single problem. BetterBatteryStats can help you diagnose that problem. The app presents you with a highly detailed set of battery data that shows exactly what was using power, and how much it was using. A rogue process keeping your phone awake? An app constantly connecting to the internet? A game causing your processor to run at top speed all the time? You won’t always recognize the culprit, so might need to research potential problems further, but it’s a good place to start. Orbot is a proxy app that uses Tor to encrypt and anonymize your phone data, helping to safeguard your privacy while you’re online. It works with any browser, or for added security you can use it with Orfox, a Tor-enabled version of Firefox. It an also route traffic from your apps through Tor. Where Orbot is better than a normal proxy or VPN app is that you can give it root access to make it function system-wide. Some third-party apps won’t work with proxies, but Orbot is able to bypass such restrictions to deliver a far greater level of privacy. Every phone manufacturer has its own set of emoji. Some are better than others (and, in Samsung’s case, some are downright weird), so if you would like to switch to something better, you can do so very quickly if your phone is rooted. Emoji Switcher gives you 10 alternative sets, including several flavors of Android and iOS, plus the ones from Twitter. Installing them is as simple as picking it from a list and rebooting, and you can roll back to your original characters just as quickly. It’s so easy to delete photos by mistake. If you’re using a cloud service like Google Photos or Dropbox, then you might have a ready-made backup you can restore, but if not, you’ll need to use DiskDigger instead. DiskDigger scans your internal storage for deleted images, videos, or (if you upgrade to the Pro version) multiple other types of files as well. It dredges up a lot of results — not just your own images, but random JPGs you’ve opened in Twitter or other apps. But so long as they haven’t been overwritten, there’s a good chance your treasured shots will be among them. No app shows the power of a rooted Android phone more than DriveDroid. The app lets you boot your computer into a Linux distribution stored on your phone, in exactly the same way that you might run a distro from a flash drive. DriveDroid offers over 40 distros The 5 Best Linux Distros to Install on a USB Stick The 5 Best Linux Distros to Install on a USB Stick USB are great for running portable versions of Linux. Here are the most useful Linux distributions to run from a USB drive. Read More to download, including the most popular ones like Ubuntu. You can also create blank images that turn your phone into a USB flash drive. It’s an excellent tool to keep on hand for testing Linux distributions, or as an emergency boot drive. If you’re new to rooting and aren’t sure where to start, then installing our favorite roots apps will show you what your newly rooted phone is capable of. What are your must-have apps for rooted phones, and what hidden gems have you discovered? Share your recommendations in the comments below. 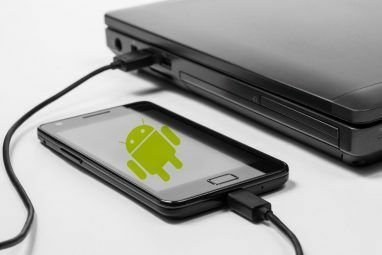 5 Ways to Transfer Data From PC or Laptop to Android PhoneAre Squeezable Smartphones a Gimmick or the Future? You don't need root for this but I recently came across a firewall app named 'LostNet Firewall'. It hasn't been updated for a while but I haven't come across another (including root-based firewalls) with it's feature set. Running it for the last two days and very impressed. In addition to it's ability to block access to the Internet on a per app basis, it includes an ad-blocker (experimental) AND... the ability to block geographic areas (regions or specific countries). It's this last bit that really impresses. Any app, whether blocked or not, that tries to connect with a server in one of your blocked countries or regions is blocked from doing so. LostNet Firewall will keep a log of this activity. I learned right away that my Huawei Ascend Mate 2 was accessing China (one of my blocked countries) via 'Android System'. Looks like they modified 'Android System' for reasons unknown. Development on this app seems dead or stalled. My question... are there any other firewalls with country/region blocking? It would be great if it was a root app that didn't need to create a VPN circuit. Right now, I have to decide between using this firewall or my VPN. AdAway alters your hosts file to block ads system wide on your phone. It's half the reason I root at all. And we are so proud of you!